Yesterday morning was the first time we woke up to the sun in two weeks. Spring was here in all it's glory. A few of our children had stuffy noses, so I stayed home with them. Jeremy headed out the door to church, then doubled back. I stuck my head out of the door to see what was going on. "We have lambs!" He yelled. A baby ewe that looked just like her papa and a little ram that looked like his mama. They had just been born; still wet and getting cleaned by their mother! 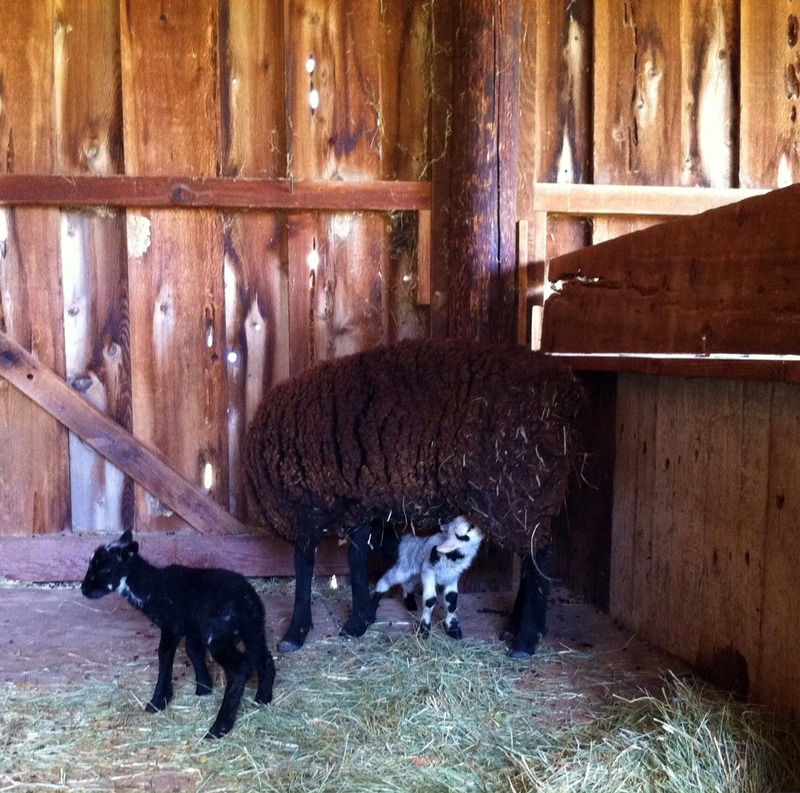 We took mama and her babies to the barn to encourage bonding and to keep them safe. 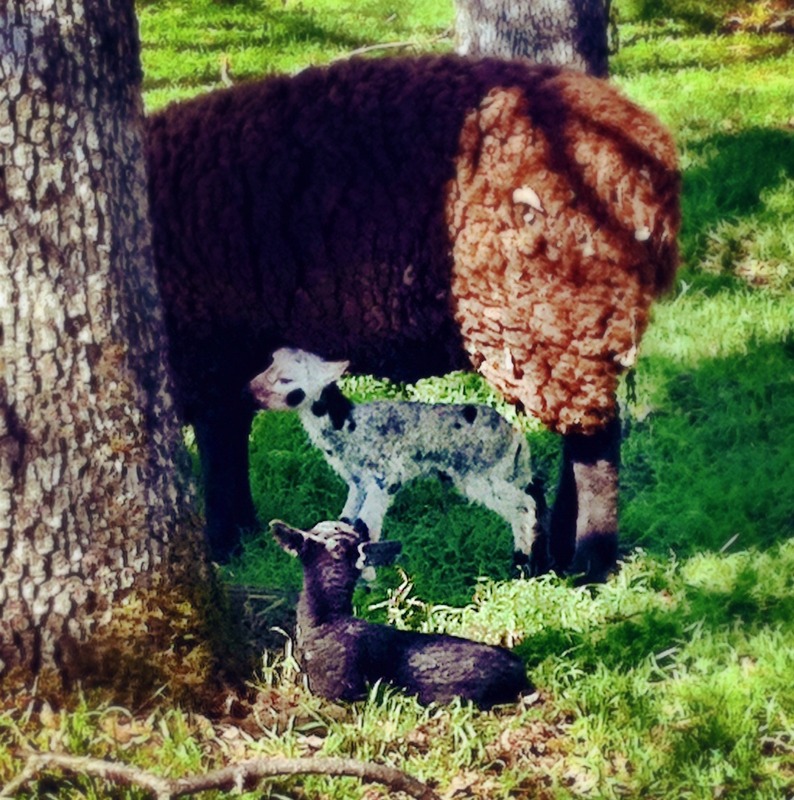 Every one of us cheered the lambs on as they tried to learn how to nurse. I ran up to the house to re-learn what I could about taking care of new lambs. Jer stripped the teats to get the waxy plug off so the babies could get their precious colostrum. Within hours, they already started bounding. Everyone should see a lamb bound at least once in their life. There aren't many things cuter, I tell you. Oh my. Our flock has just doubled. For now. Little rammy-man will be sold. 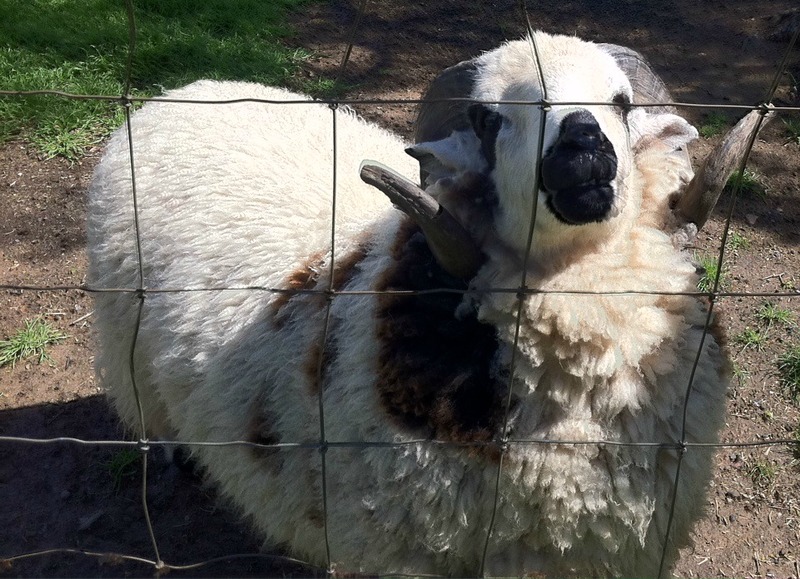 Shamrock is all the ram we need (and then some) on this little ranch. Clover (the ewe) will make her home here. Did I mention her eyes are blue? Help. We are all smitten. It was a happy way to start April off, that's for sure. I'm sharing this at Barn Hop. Oh my goodness, what a fun surprise! I want one! What a dear surprise and yet another sweet "farm family" memory you've made with your little ones. I love those moments.